This is a quick 5 problem hand out. Students are given 5 problems that have two points listed. 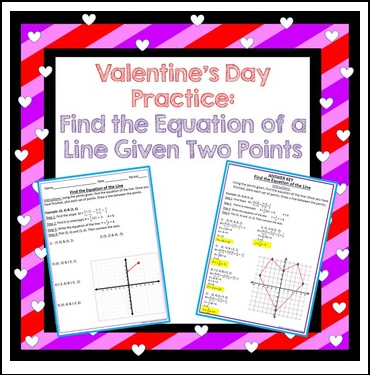 The student will find the equation of the line, then plot the two points listed and draw a line connecting their dots. This will form the shape of a heart. Students who finish this quickly can color in the heart and/or their paper. I like to display them for Valentine's Day. An answer key with each problem worked out is included!